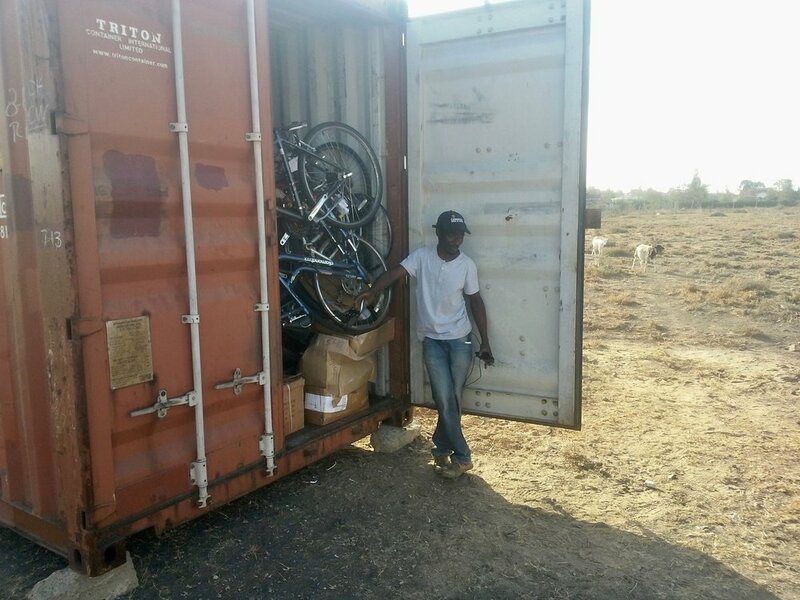 Our 54th container of donated bikes recently landed with our partners in Kenya. 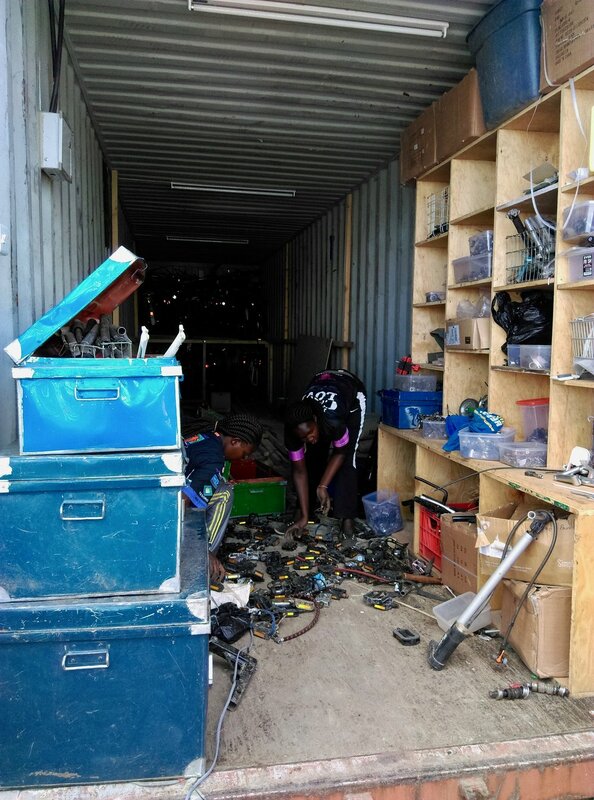 After Fredrick and the rest of the Cycloville crew did such a fantastic job with the first container they received (that was back at our #47), we couldn't wait to get another one out to them. 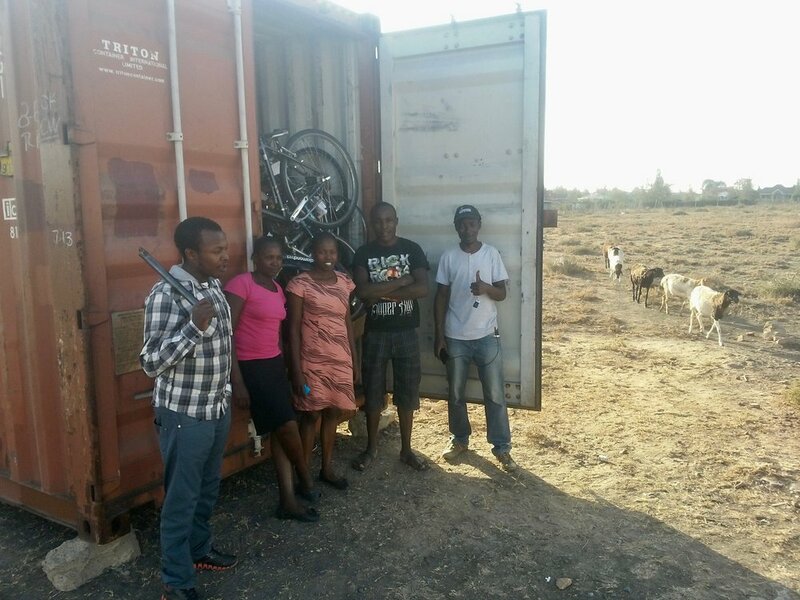 The Kenyan government, however, couldn't be less helpful, as the customs authority presents all sorts of ridiculous demands just to bring donated bikes into the country. 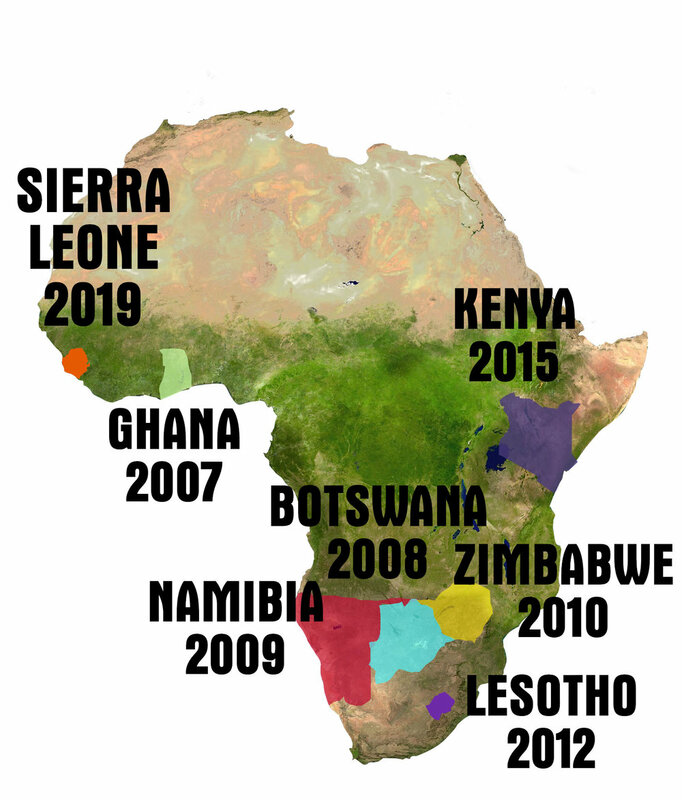 It really makes us wonder what's happening there, but it does make it quite clear why there aren't more bikes in the country already. 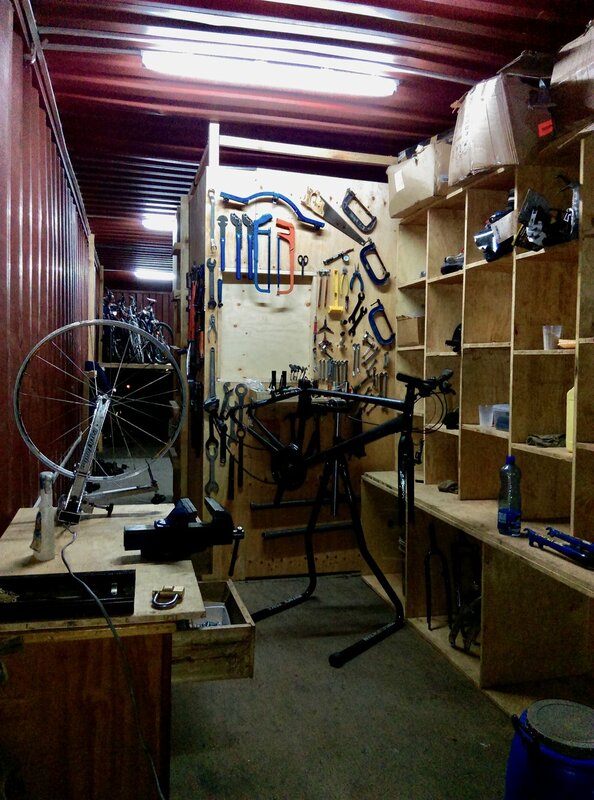 This second container for Cycloville has been joined by another recent container arrival from our friends at Bikes Not Bombs in Boston. 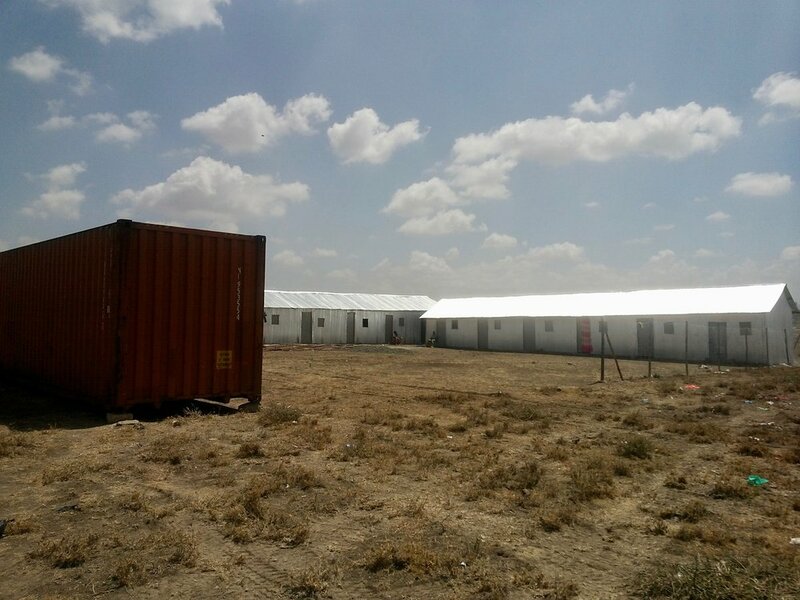 These two containers are forming a new logistics center in Machakos County, very close to the capital of Nairobi. From this place, Fredrick and his team will distribute bikes and gear to their own shops, and to other small shop owners in the region. Staff will be working at the center full time, will have access to housing, and will be training local youth in mechanics and logistics.